The school refused to use Leo Etherington's new name — even after his death. 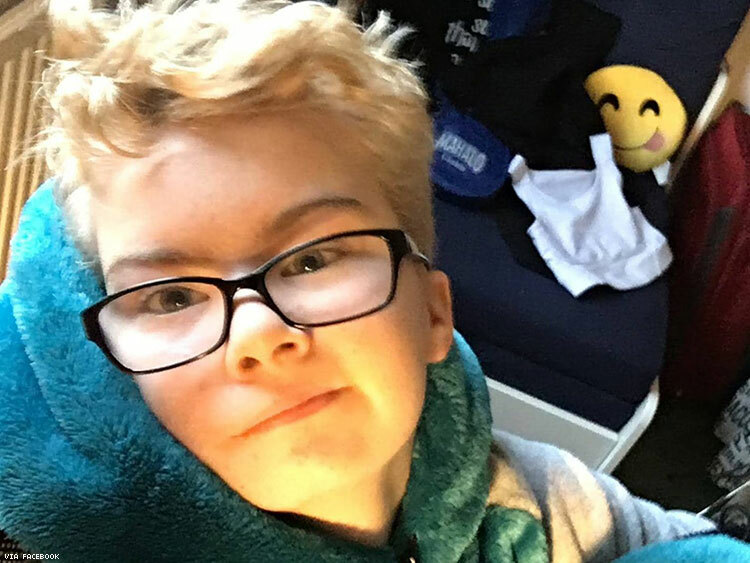 The suicide of 15-year-old Leo Etherington is a tragic reminder of what's at stake when a school refuses to acknowledge that transgender students exist. According to The Guardian, the girls’ school in High Wycombe, Buckinghamshire, refused to honor and address Etherington by his name until he turned 16. The school headmaster issued a public statement in reaction to Etherington's death that still misgenders him. "Louise was a wonderful person in every way and is missed by us all," wrote Sharon Cromie. Martin Etherington, Leo’s father, said the teen had been angry that teachers continued to call him by his old name even after he started presenting as male and transitioned in 2016. Having attended sessions with his son at a gender identity clinic, Martin Etherington offered to fund his son’s gender-confirmation surgery. In the United States, the Trump administration recently rescinded guidance to schools that said transgender students should be treated according to their gender identity. Without that guidance, schools assume they are free to misgender students by name or refuse them access to bathrooms — although a legal battle continues on whether that is constitutional. The Trump administration followed up that decision with a ban on trasngender people serving in the military. If you are a trans or gender-nonconforming person considering suicide, Trans Lifeline can be reached at 877-565-8860. LGBT youth (ages 24 and younger) can reach the Trevor Project Lifeline at 1-866-488-7386. The National Suicide Prevention Lifeline at 1-800-273-8255 can also be reached 24 hours a day by people of all ages and identities. A version of this story originally appeared on Out magazine.